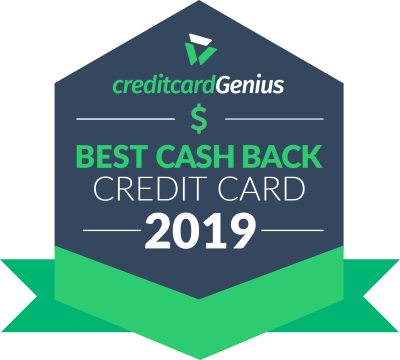 The best cash back card for heavy gas and grocery spenders. If you’ve got a big family to feed or drive for a living, this could be the card for you. You will earn 10% cash back (the “Offer”) on the first $2000 in eligible purchases posted to your new Scotia Momentum® Visa Infinite* credit card account (the “Account”) beginning on the Account open date and ending 3 months after that date or when you reach the maximum cash back value of $200, whichever comes first (the “Offer End Date”). After the Offer End Date, you will earn regular cash back on purchases at the regular cash back rate described in the Scotia Momentum Visa Infinite Cash Back Program (the “Program”) that applies to the Account (the “Cash Back Program Rate”). The 10% cash back rate for any category is made up of the sum of: (i) the regular Cash Back Program Rate (variable by categories as set out under the Program); and (ii) a “Bonus Cash Back Rate”. Cash back earned under this Offer will be credited to your Account in 2 instalments so long as your Account is open and in good standing at time of payout of each: 1. Bonus Cash Back Rate: The amount earned under the Cash Back Bonus Rate will be credited to your Account within 2- 3 months after the Offer End Date; and 2. Regular Cash Back Rate: The amount earned under your regular Cash Back Program Rate will be credited to your Account according to the regular cash back payment schedule as set out under your Program (November). EXAMPLE: If the regular Cash Back Program Rate for the Gas Stations and Grocery Stores category is 4% then the Cash Back Bonus Rate will be 6% for that category so that you will earn a total of 10% on the amount of all eligible everyday purchases in that category until the Offer End Date. If you make $2000 in eligible everyday purchases in the Gas Stations and Grocery Stores category, your cash back earnings will be credited to your Account as follows: First, the Cash Back Bonus Rate of 6% x $2000 = $120 will be credited to your Account within 2-3 months of the Offer End Date. Secondly, the Cash Back Program Rate of 4% x $2000 = $80 will be credited to your Account as per the regular cash back payment schedule (November). Based on a $99 annual fee waiver in the first year and a potential cash back earning of up to $200 during the offer period. All other terms of the Scotia Momentum® Visa Infinite* Cash Back Program Terms and Conditions apply. Offer applies to a new Account only opened by February 28, 2019. Former or current Scotiabank credit cardholders that transfer from an existing Scotiabank credit card account or re-open a closed Scotiabank credit card account are not eligible for this Offer. All rates, fees, features and benefits are subject to change. Offers may change, be extended and cannot be combined with any other offers. We will waive the initial annual fee for the primary card and each additional supplementary card for the first year. Offer applies to new Scotiabank credit card account (“Accounts”) only that are opened by February 28, 2019. Any additional supplementary cards must be issued by February 28, 2019 to qualify. Former or current Scotiabank credit cardholders that transfer from an existing Scotiabank credit card account or re-open a closed Scotiabank credit card account are excluded from this offer. The current annual fee is $99 for the primary card and $30 for each additional supplementary card. The current preferred annual interest rates for the Account are: 19.99% on purchases and 22.99% on cash advances (including balance transfers, Scotia® Credit Card Cheques and cash-like transactions). All rates, fees, features and benefits are subject to change. Offers may change, be extended and cannot be combined with any other offers. If you drive a taxi or have a large troop at home to feed, then the Scotia Momentum Visa Infinite is without a doubt the one card you need in your wallet. The 4% cash earned on gas and grocery spending is unmatched by any competitor. To start, you’ll earn 10% cash back on all purchases you make for the first 3 months, up to $2,000 spent. That’s an extra $160 in rewards over what you would normally earn on $2,000. Plus, you’ll also get the first year free. An easy way to try the card and see if it’s right for you. For example, if you were to spend $2,000 per month on just gas and groceries, that's $960 in cash right there. With other cards you'd only get $480 on that same spending. The downside is that on most other purchases you'll only be earning 1%. The truth is that the flat 2% and lower annual fees of other top cards will often net you more cash annually. If you're not sure for your situation, use our cash back comparison tool to enter your own spending patterns and see which card pays you the most. The other thing to keep in mind with this card is that you only get paid once a year as a statement credit. That can be a good thing for some people because it is like a forced savings plan that you can use for a bigger purchase once a year. For others, it may be an inconvenience. You'll also want to watch out for the extra $30 fee Scotiabank charges to get secondary cards. It would be nice if they threw at least one extra card in for free. On the plus side, it does offer complimentary concierge service along with Visa Infinite experiences so you can get VIP access to special events, concerts, and restaurant soirees. If a flat rate cash back card is more your thing, then the may be more up your alley. For the same annual fee, you’ll get 2% cash back on every purchase.